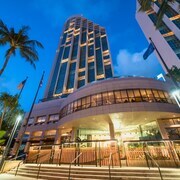 Comprising 563 rooms in one 33-floor tower, Prince Waikiki offers extensive facilities and services. 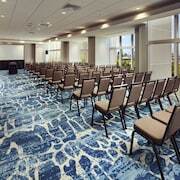 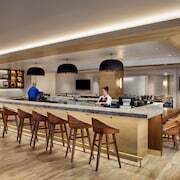 In addition to 2 cafés and 2 restaurants, the hotel has more than 20,000 square feet of indoor and outdoor function space. 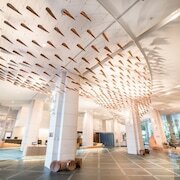 It also provides an activities desk and shops. 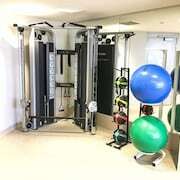 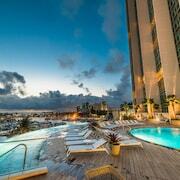 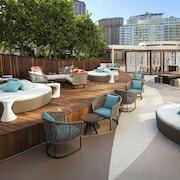 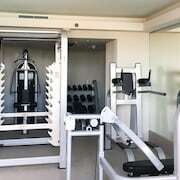 On-site amenities include a small fitness center and a 5th-floor sundeck with a large pool and shaded terrace. 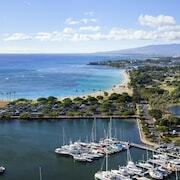 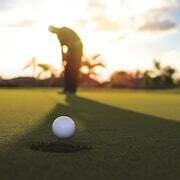 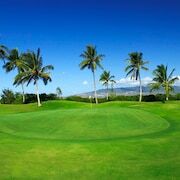 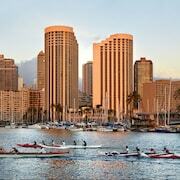 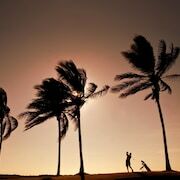 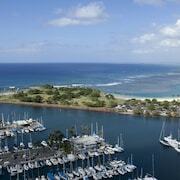 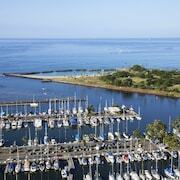 Complimentary resort activities include Tai Chi stretch, hula, and Hawaiian classes. 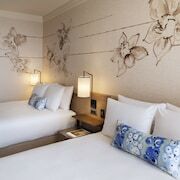 The hotel's multilingual staff can provide services ranging from dry cleaning and laundry to tour and wedding assistance. 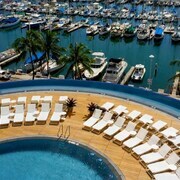 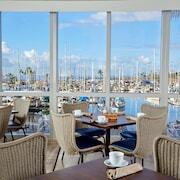 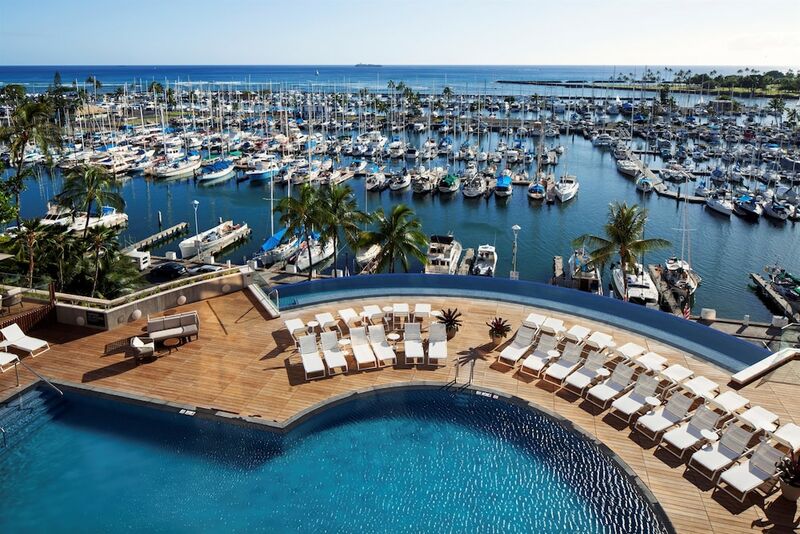 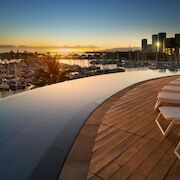 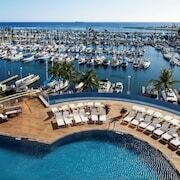 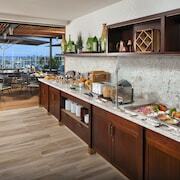 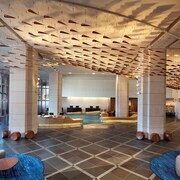 Onsite are a fifth-floor fitness room, sundeck, and pool with views of the marina and ocean beyond. 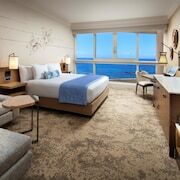 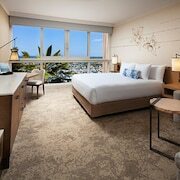 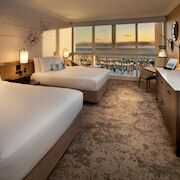 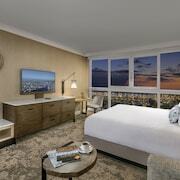 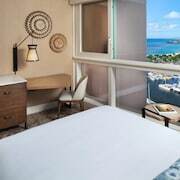 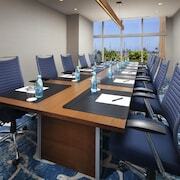 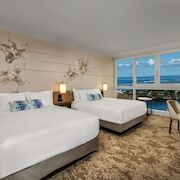 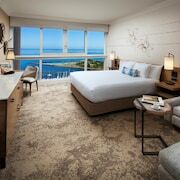 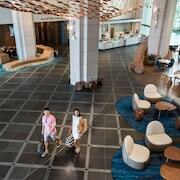 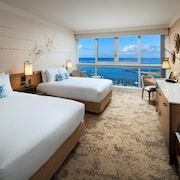 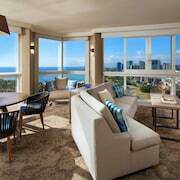 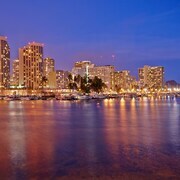 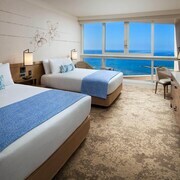 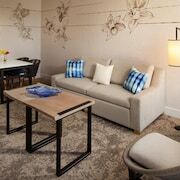 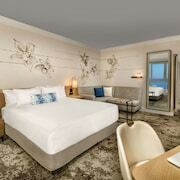 All 563 guestrooms at Prince Waikiki have island-style decor and face the ocean, with floor-to-ceiling windows. 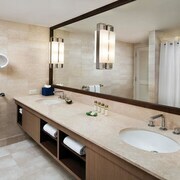 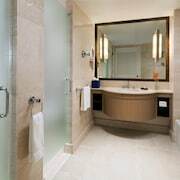 Guestrooms also have compact refrigerators, coffee makers, and LCD TVs with cable. 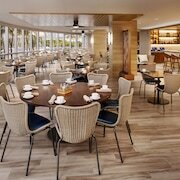 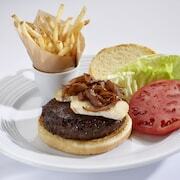 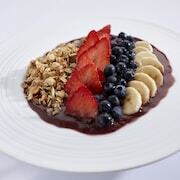 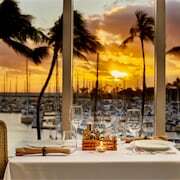 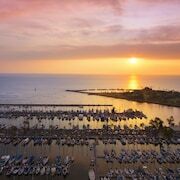 100 Sails Restaurant - The hotel's signature restaurant serves breakfast, lunch, dinner, and weekend brunch while providing third-floor sunset and marina views. 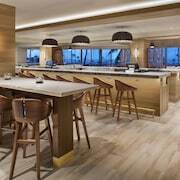 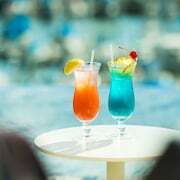 The menu offers contemporary island cuisine with an Asian flair, with sushi and themed buffets as well as off-menu selections available at each meal. 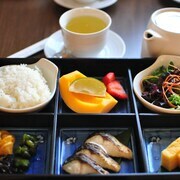 Katsumidori Sushi Tokyo - Lobby sushi bar offering a blend of Japanese cuisine with Hawaiian ingredients. 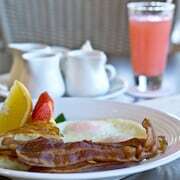 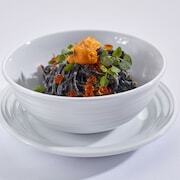 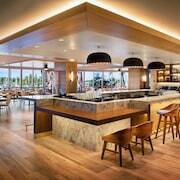 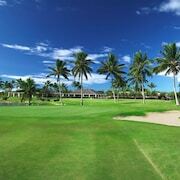 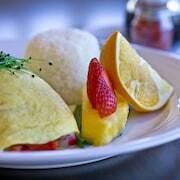 Bird of Paradise - Casual dining restaurant situated in the Hawaii Prince Golf Club. 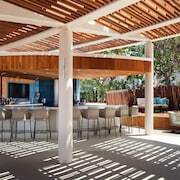 Hinana Bar - Poolside snack shop on the 5th floor, with sandwiches, salads, and cocktails. 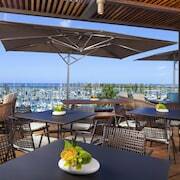 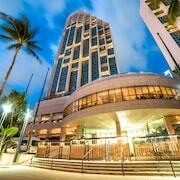 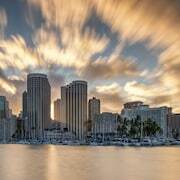 Honolulu Coffee Company - Lobby dining venue offering light fare and Kona coffee.